Those in the logistics sector have likely noticed the trend toward adoption of new warehouse management systems and similar platforms in recent years. However, one thing experts say is about to come for the industry as a whole, potentially at a rapid rate, is adoption of next-gen technology that helps to support mobile data collection and other aspects of helping WMS software operate as efficiently as possible. To that end, all sorts of emerging technology, from smartphone scanning and tracking to augmented-reality smart glasses are worth exploring for decision-makers in the logistics industry. 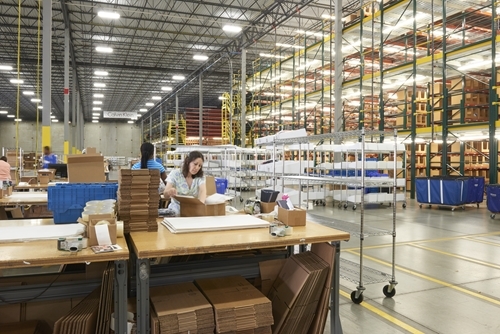 The way in which items are picked by humans in a warehouse or similar facility is likely to look a bit different in the years ahead as this connected mobile technology becomes more broadly used in the industry, according to Logistics Management. Often, the devices will be used in concert with one another; for instance, a worker equipped with smart glasses to guide them on the most efficient path through the warehouse, as well as a hands-free wearable scanner to properly scan the item, could significantly boost operations. In one trial by DHL, the use of all these technologies together made each worker as much as 12 percent more productive than they'd been without the next-gen devices. Moreover, the accuracy of their picking efforts went up considerably, and necessary training times declined sharply. Meanwhile, other companies are exploring the ways in which use of robots in the facility – though not necessarily for picking at this point – could assist workers in operating more efficiently as well, Logistics Management further noted. This may be particularly helpful for companies that aren't just putting items in one part of the warehouse and keeping them there until they need to be shipped out, but continually moving items throughout. Using robots to do the work of moving materials can help to significantly free up workers for doing actual work instead. "What we found is that moving materials around the different operations of the company takes up a lot of resources," Adam Pitel vice president of operations of Magna-Power, a company that adopted this type of robotics, told the site. "People were moving from one department to another all day long." Finally, another area in which companies may be able to improve efficiency by applying cutting-edge technology to a less high-tech concept, a separate Logistics Management report showed. Manufacturers that make small components or other products have recently taken to next-gen labeling solutions – whether it's with individual ID codes, barcode scanning, or the like – to ensure that nothing goes missing and everything can be tracked more efficiently throughout the supply chain. Of course, each company's technology needs are going to be different, so it's vital for executives to carefully assess all the options available to them and determine the best possible choices. While the cost of such adoption can occasionally be significant, it may be important to look at the process as an investment; with greater efficiency, these products may end up paying for themselves in relatively short order.